You know the guy with that tattoo didn't post this and can't see your comment, right? Also, atheists are not going to be offended when threatened with hell. Sorry. That's sort of the point. 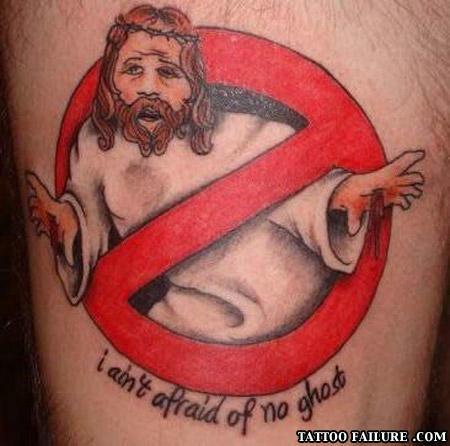 When theres something strange, in judea, who you gonna call?, the Romans! Who you don't wanna call? bustin' make me feel good.